Nikki Haley delivering her response to the State of the Union. (AFA)—In the lone piece of good news from last night, we have endured the last State of the Union speech from our current president. 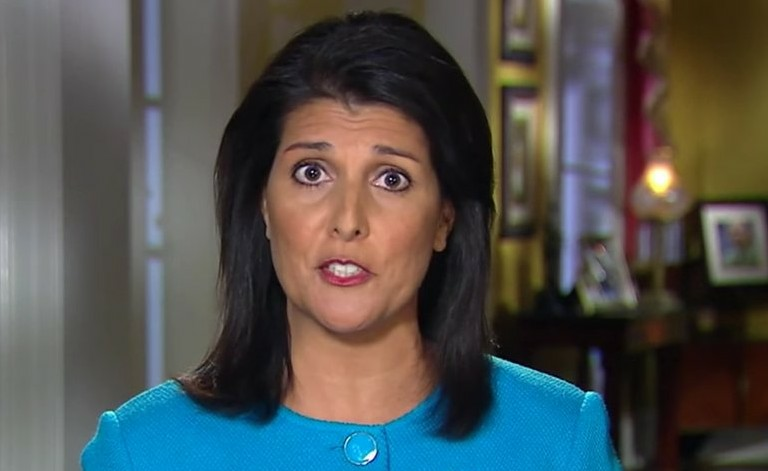 However, when South Carolina governor Nikki Haley delivered the Republican response, she inadvertently demonstrated the fundamental problem with today's Republican party. It is completely out of touch with its own base and the majority of ordinary Americans, and doesn't even realize it. Gov. Haley by all accounts is a very pleasant individual and a woman of character and faith. I'm sure she has genuinely conservative convictions. But you would have to look pretty hard to find them last night. If the GOP establishment wants to know why Trump is drawing enthusiastic crowds everywhere he goes and Jeb Bush can't fill a coffee shop, they need look no further than the official response they offered to Obama's speech. By their fecklessness, their cowardice, and their capitulation they have created the vacuum that Donald Trump is filling. If they don't like him, they have only themselves to blame.